Just a lovely Saturday here, sitting around in sweats, watching the tournament. Not a care in the world. And then Mitch Lawrence happened. Lawrence, who at times has felt far more in touch with the inner-workings of the Bulls franchise than local media this season, wrote a column about Phil Jackson and the Knicks and what he’s trying to do in the front office there. Oh, and then he snuck this in the notes at the bottom of the column. It’s no joke — the Bulls really are expecting Derrick Rose to make it back from his latest knee injury in time for the playoffs. How the hell do you just drop that little tidbit into a 1,500-word column? I get that Lawrence is writing for a New York paper, but shouldn’t that be the subject of a column? Of course, maybe Lawrence doesn’t trust what he’s hearing enough to do an entire story about it, so instead he just chose to sneak it in. I have no idea. But I assume this is something that we’ll be hearing about an awful lot in the coming weeks. The Bulls only have 13 games left in the regular season, which ends on April 16 against Charlotte. 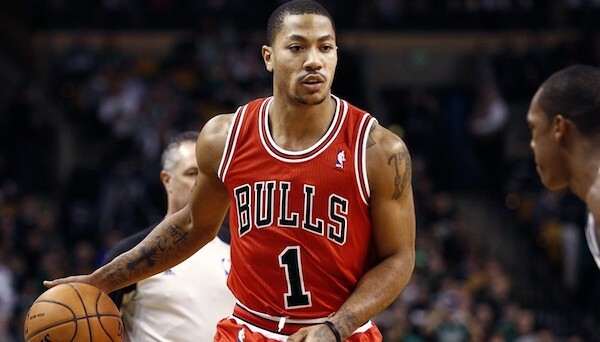 Will Rose be back for the playoffs? I’m not even going to venture a guess, but considering how slowly he started this year before getting hurt again, personally, if he is coming back, I’d like to see him play some in the regular season first. Just throwing him into the middle of a playoff series after missing damn near the entire season just doesn’t seem like a wise course of action to me. This entry was posted in Chicago Bulls and tagged Derrick Rose by Tom Fornelli. Bookmark the permalink.